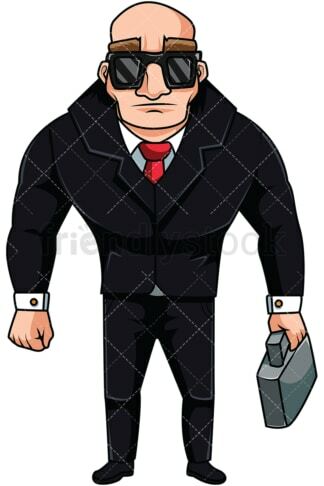 Royalty-free stock illustration of a bulky muscular man with intense eyebrows, wearing a suit, a tie, and shades, holding a briefcase, looking serious. 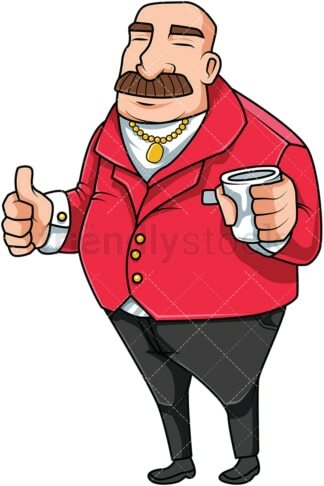 Royalty-free stock illustration of a successful bald man with a moustache giving the thumbs up and smiling gently. He is wearing a bright-red suit and a gold necklace. Royalty-free stock illustration of a mature boss man with a moustache looking serious and pulling his suspenders. 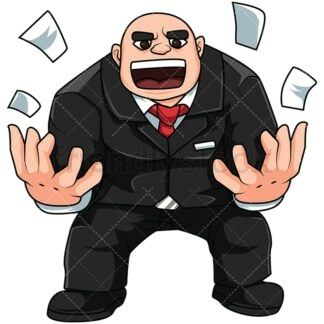 Royalty-free stock illustration of an irritated big boss man throwing some papers up in the air in frustration. Royalty-free stock illustration of a young male CEO holding a glass of red wine and smiling while his other hand rests casually in his pocket. 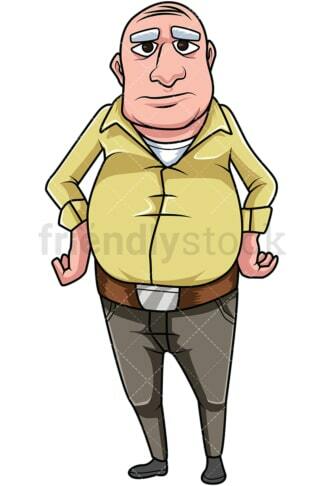 Royalty-free stock illustration of a frustrated old man with his hands on his waist, looking serious. Royalty-free stock illustration of a young man with blond hair tying his tie in the morning while holding his jacket in his arm. 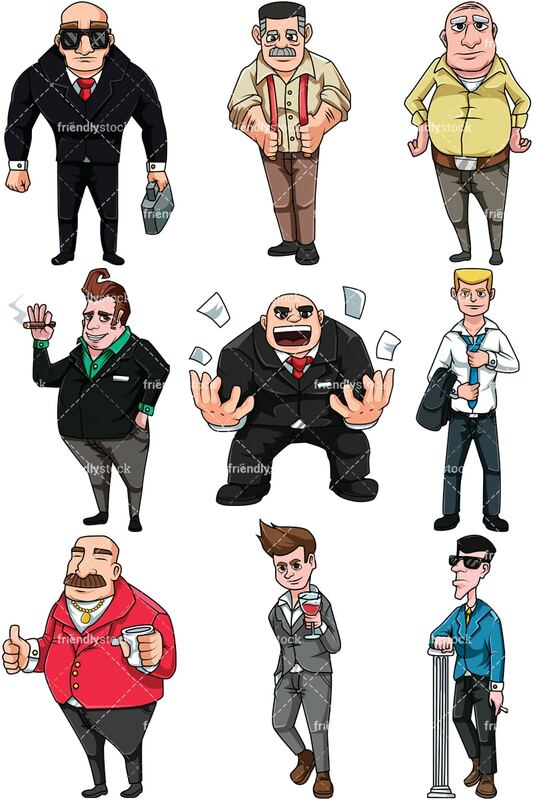 Royalty-free stock illustration of a cool boss man wearing a blue blazer and sunglasses, leaning on a pillar while holding a cigarette in his other hand.